A 110 m long flume with second-order waves, unique for its accuracy and versatility, in combination with steady current. Opened in October 2014, the Fast Flow Facility is one of the world's largest marine test facilities. 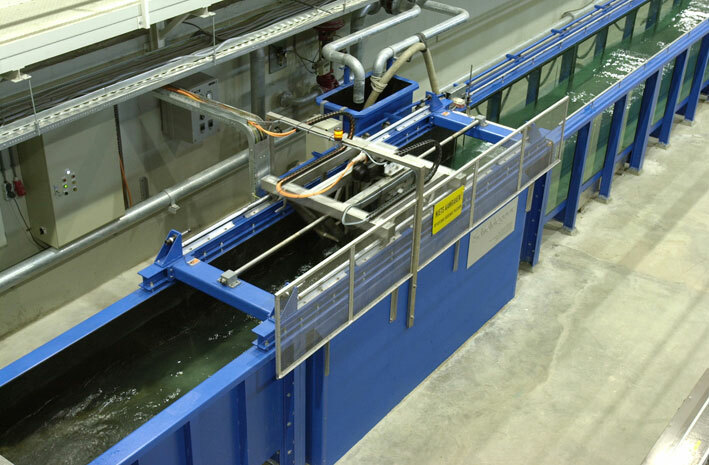 This unique, dual channel, race track shaped flume delivers a world-leading capability in wave-current-sediment modelling.